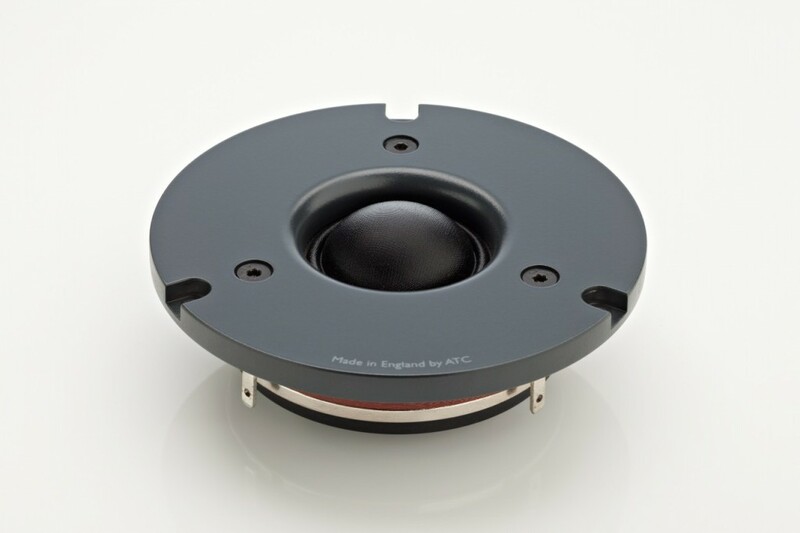 ATC is an English company that makes some of the best speakers in the world. Their studio monitors are relied upon by many top tier musicians and studios. In 2013 ATC introduced their new Hi-Fi Passive series, comprised of the SCM7 v3, SCM11 v2, SCM19 v2 and SCM40 v2. 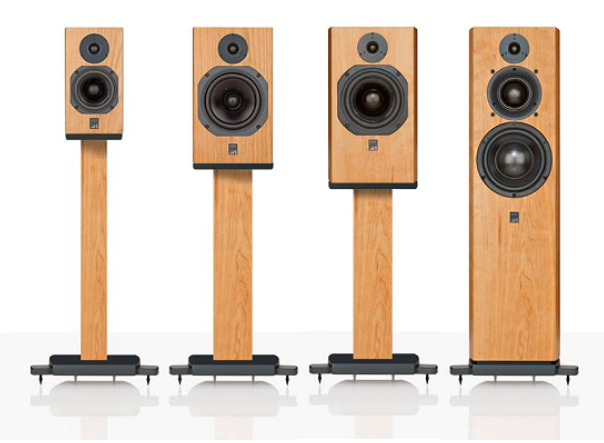 All these loudspeakers are on display in our showroom and available to customers across the US from our online store. In this blog article we take a closer look at the technology behind these speakers with their engineers Richard Newman and Ben Lily. ATC refers to ‘coherent dispersion’ in your speaker specifications e.g. Dispersion: ±80° Coherent Horizontal, ±10° Coherent Vertical, what do you mean by this? This refers to the off-axis response of the loudspeaker. Over the quoted horizontal and vertical angles, the phase relationship of the drive units is such that the response remains linear. What is the function of the soft dome grafted onto the mid/woofer in the two way designs from the HiFi Passive Series (SCM7, SCM11, SCM19)? 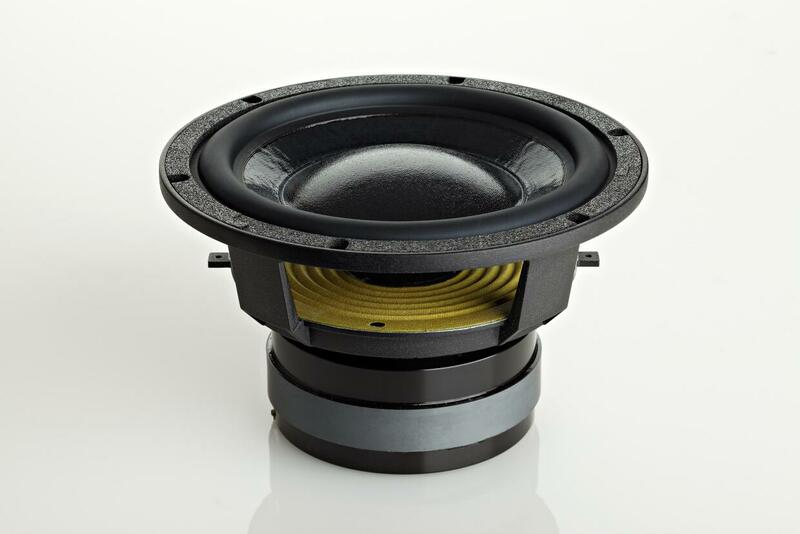 In all cases you mention, the soft domes are fixed to the edge of the voice coil. Both the SCM7 and the SCM11 use a 45mm voice coil, so the dome is quite small. On these two models the dome performs the role of a simple dust cap and the high dome profile is designed to break up any cross diaphragm sound pressure waves. The SCM19 is different. 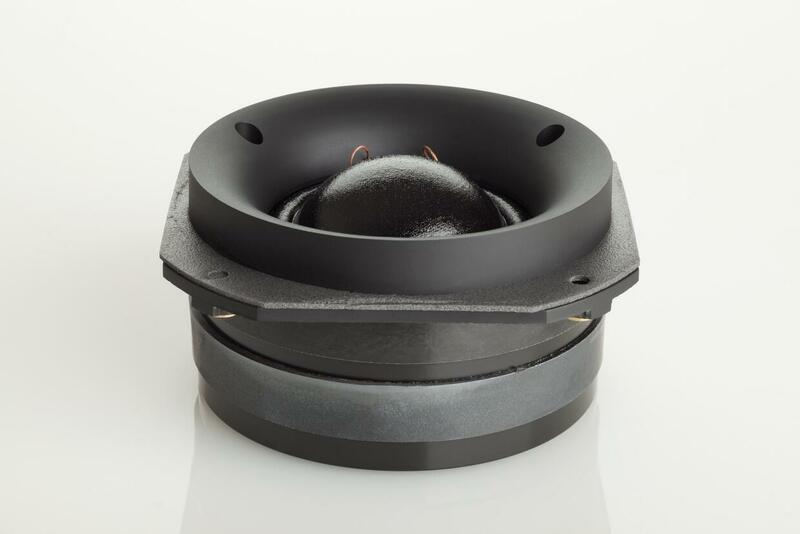 In this case the voice coil is 75mm (3”) in diameter, so the dome is larger; in fact the dome grafted to the former is the same as that used in our mid-range dome. The dome is designed to decouple from the cone at higher frequencies where it performs the role of the primary acoustic radiator. ATC SCM19 6″ SL Midwoofer. ATC have spent a lot of time and effort developing their own soft dome tweeter. What made you design your own tweeter and what important characteristics does it have? The performance of any loudspeaker is tied directly to the capabilities of the transducers employed. If the drivers do not exhibit low linear and non-linear distortion then you have nowhere to go with your design. By retaining control over all aspects of the loudspeaker system, including the drive units, we can ensure the best performance from our loudspeakers. We have manufactured all our own bass, bass/mid and mid-range drivers for many years now and it only follows reason that we would want to do the same with our HF drive units. The drive unit took quite some time to develop because we were not willing to release the part until it met the high standard we demand from all the drive units we manufacture. One major caveat with just about all 25mm tweeters is that they incorporate the use of ferro-fluid. The voice coil is immersed in this ferro-fluid as it remains suspended in the magnetic gap of the motor. The fluid performs the function of adding mechanical damping, transferring heat to the metalwork and suppressing rocking modes. The caveat is that over time this fluid starts to thicken. As it thickens with use, the mechanical resistance it presents the moving coil assembly changes and the magnitude response starts to droop. From the offset, our aim was to develop a tweeter free from this limitation, while at the same time addressing the engineering challenges ferro-fluid omission presents. By carrying over some design features found in our mid-range dome such as the inclusion of a dual suspension system, we were able to produce a part with the performance we were happy with. 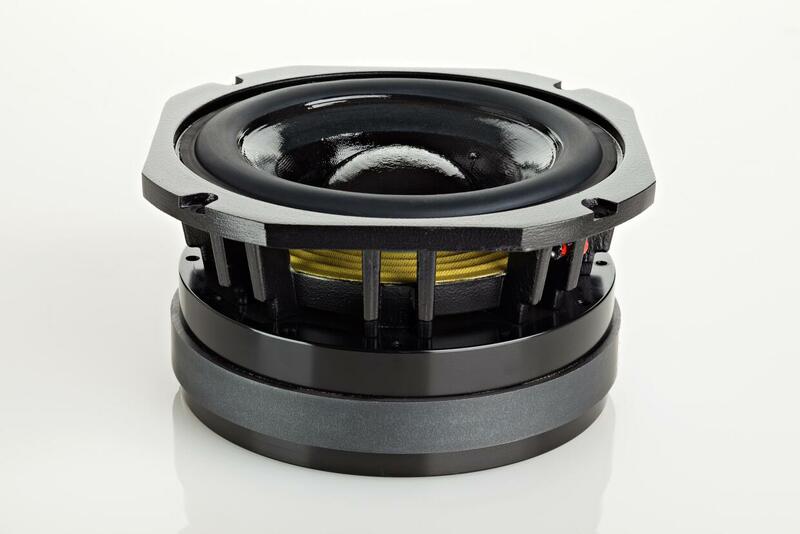 As with all ATC drivers, we approached the design of the tweeter with optimum performance in mind. 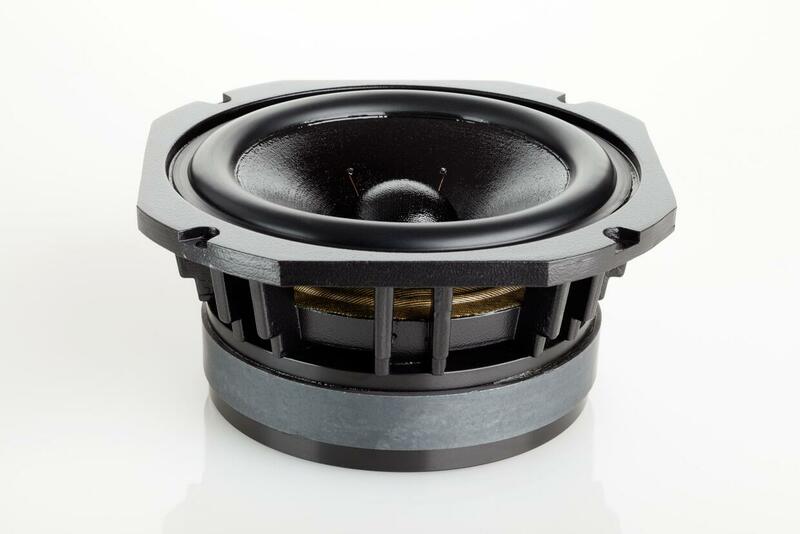 The dual suspension design forces a larger voice coil, so in order to get the required efficiency and top end extension, we use extremely large high grade neodymium magnets in the motor assemblies. We even heat treat the top plate in a process called magnetic annealing to squeeze that bit extra performance out of the components. Large, well designed motors mean lots of flux in the gap which in turn results in extremely low odd harmonic distortion, an extended magnitude response and an excellent time domain characteristic. Another driving factor for manufacturing our own tweeter is that by doing so we don’t have to pay anybody else’s margin and therefore we can offer a much better product for a given price. Can ATC speakers be described as “Made in the UK?” Are cabinets, crossover and drivers all made in the UK? All our drivers, electronics and the majority of our professional cabinets are hand built in our factory here in Stroud. Our classic series, tower series and higher volume pro loudspeaker cabinets are manufactured in the UK by a small furniture manufacturing workshop. The entry series cabinets are manufactured abroad, but again by a small independent furniture manufacturer. The drive units are then installed here along with all the other products. ATC Hi-Fi Passive Series, from left to right: SCM7, SCM11, SCM19, SCM40. How important does ATC think speaker directivity is in the big scheme of things? Reading Floyd Toole you would think that speaker directivity, after on axis response, is the most important critieria for a high performance speaker. What speaker design criteria are more important, and which are less important? The power response of a loudspeaker greatly affects the perceived sound quality, particularly when listening to high energy transients. So, high performance loudspeakers should exhibit a broad and even dispersion with frequency. This is something we take great care to achieve in all our loudspeakers. You will notice that our largest bass/mid driver is 6.5”, with a XO of around 2.5kHz, which we consider to be a practical limit in a 2-way. If the bass/mid driver was much larger the horizontal response around the XO would suffer as a direct result of the bass/mid driver becoming directional. More bass extension and higher SPL can be achieved by increasing the bass driver diameter but at some point you have to move to a 3-way system to continue to achieve a satisfactory off-axis response. A key element to successful loudspeaker design is that all measured characteristics are considered and a balance is achieved. The magnitude response, phase response, power response, time domain response, distortion characteristic and power handling are all very important. As mentioned above, the key is not to employ too large a bass driver. ka=2* is an ideal target crossover point but this has to be compromised a little in a 2-way system capable of high dynamic range. In theory, we could reduce the crossover points but, at the expense of HF driver distortion and reliability. This may not be an issue for the majority of our hi-fi customers but for the professional users, where SPLs are often higher it could be. We don’t want a different philosophy for pro and hi-fi so we side with reliability and the higher crossover frequency. Note added by Acoustic Frontiers: * dimensionless number ka refers to circumference divided by wavelength. Circumference can be easily calculated as pi or 3.141 multiplied by the diameter. One point to note is that the specified diameter of the driver includes the surround which should not be included in these calculations. 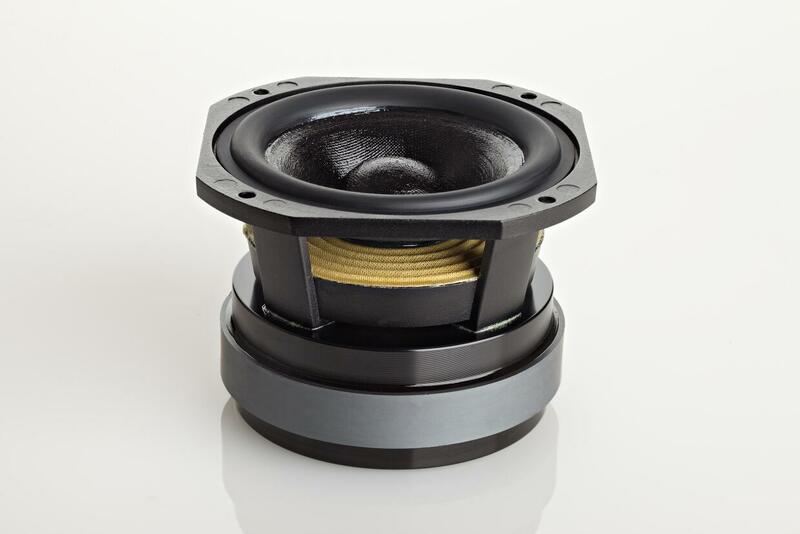 For example the 150mm / 5.9″ driver in the SCM19 has an actual cone diameter of 4.9″. What do you think about the idea of adding a waveguide to your tweeters, to better match directivity at the crossover? Our tweeters do have a carefully designed short throat waveguide. Deeper throats would affect the balance of the device, both on and off frequency, and if taken to the extreme would further increase distortion. At the XO frequency the 25mm tweeter effectively radiates omni-directionally as desired. Why do ATC speakers have such low sensitivities (85dB for example on the SCM40) yet have such amazing dynamic abilities? 2. If you want a good low frequency response from a smaller, sealed enclosure, sensitivity has to be sacrificed. For any given driver diameter, you have the choice of designing for efficiency or extended low frequency or, somewhere between. If the design demands both, a larger driver is needed or the use of multiple drive units in order to increase the radiating area. All our loudspeakers have good low frequency output for their size so, sensitivity has to be sacrificed. We could achieve a higher sensitivity by using a small vented enclosure but, we don’t like the lower mid balance of this type of design. Plus, the excursion control the enclosure has (effectively an open cabinet below port tuning) is severely limited. Our loudspeakers amazing dynamic abilities come from careful drive unit and system design. Loudspeakers that have high sensitivities have to be large, use low mass moving parts or employ horns. The low mass parts are often not suited to the forces and resonances generated when reproducing audio at high SPLs and the structures that behave well at low levels can become unstable. We specify our moving parts to have excellent mechanical stability and high internal damping at all drive levels and many listening tests are conducted using 25V – 35V rms swept sine waves. These tests brutally expose problems in the drive units, many of which would not show up if only tested at 1W or 90dB SPL (two common reference levels). A downside to ensuring stability at high drive levels is reduced sensitivity. On paper, the sensitivity would seem to be greatly beneficial but in practice it shouldn’t become too narrow a focus. When Billy Woodman founded the company in the early seventies, part of the philosophy was to try and find a better balance between the loudspeaker systems available at the time. The UK had a very wide range of loudspeaker manufacturers producing systems capable of very high fidelity but, limited dynamic range. In the US market were loudspeaker systems heavily influenced by cinema sound and capable of very high dynamic range (often using horns) but with high levels of coloration. Billy wanted to bring the best of the two philosophies together and engineer systems capable of the highest possible fidelity and a large dynamic range. Going back to the moving mass issue, an area where mass can be shaved off is the voice coil. By reducing it’s diameter, we can gain efficiency (and reduce cost) but, at the expense of power handling, power compression and passive crossover performance. Loudspeakers are very inefficient devices and the majority of input power is dissipated as heat. We need to ‘sink’ this heat out of the voice coil as quickly as possible and smaller, lighter coils perform poorly in this area due to the reduced coil surface area. Dynamically, this leads to power compression due to the increase in coil resistance as input power increases and also (in passive designs) a modification of the crossovers frequency response due to the variable load resistance vs. drive level. In summary, we think the key is designing the drive units and systems for use under high drive levels and not sticking rigidly to the known reference levels for testing. Drive unit parameters do vary with drive levels so try to design for the changes. 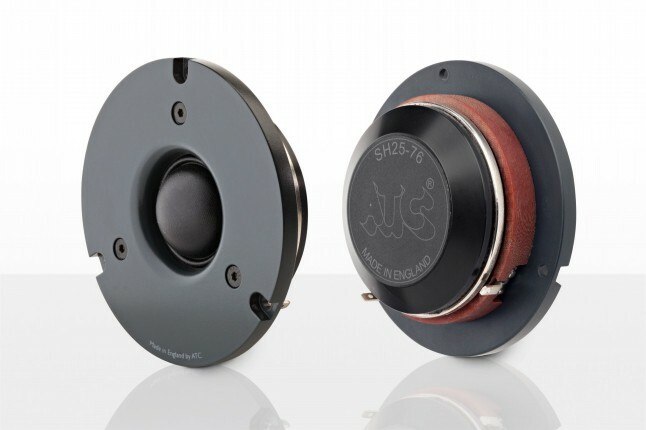 Performance at 1W or 90dB SPL is relatively easy. What happens at 100W or 110dB SPL? When ATC quotes max SPL for any given speaker, how is it determined? Pink noise with a 6dB crest factor is used with the IEC filter standard applied (for a closer approximation to a music signal). Tests are conducted in half space using a pair of loudspeakers. Want to know more or purchase? All these speakers are on display in our showroom and available to customers across the US from our online store or contact us to discuss. I use ATC 100ASL speakers with ATC20ASL as my backup system. If you listen to real “acoustic” music you soon realise that the dynamics are what HiFi fails to achieve. A single piano chord can make you jump out of your seat (try Beethoven Op110) as long as your system has the headroom. My lovely ATCs are the only speakers I have had which can really reproduce real world dynamics, actually they cannot reproduce real world dynamics but they do better than anything else I have heard. I went to a Rave last week with “Live” Rappers on stage, well it was loud but around 6dB of dynamic range and 115dB SPL (A) average level when I was there. Our ears have AGC and tighten up the ligaments between the bones in the ear to reduce the gain. The DJs know that and turn up the volume later. It was more of an acoustic massage than music. Take your earbuds out or your headphones off and just listen to the world around you. Listen for the delicate sounds, birds, children, car horns, bees humming. And shut your eyes and let your brain (it is cleverer than you are) create an aural world. Sit for a while, eyes closed and just listen. That is what your ears are designed to do. Appreciate the beauty of the real world in sound. Then go to see an acoustic band – acoustic means NO AMPLIFICATION, just real sound. Then you can pontificate about HiFi. ATC makes a feature of their super linear magnets and low distortion but I can’t find any measured distortion performance for any of their speakers. What is the distortion performance in %? A few other top manufacturers quote this. Good question. They do not publish any distortion specifications. If you look around the web you’ll find tests of some of their drivers, such as the midrange dome. You might be interested to know that there has been debate, even moving to a conclusion, that THD and IMD are not that important to speaker sound quality. I know Floyd Toole has reiterated many times that on and off axis frequency response is the key determinant of perceived sound quality, and that non-linear distortions may have an effect but research is inconclusive.